New York – August 23, 2017 – An international team of scientists investigating the effects of six planned or potential Andean dams on the Amazon river system has found that major negative ecological impacts can be expected both above the dams and throughout the lowland floodplains and the Amazon Delta, according to WCS (Wildlife Conservation Society), the Instituto Nacional de Pesquisas da Amazonia, and other groups. The authors of the study warn that, if not well planned, the construction of these dams and other infrastructure development in the Andes headwaters could have catastrophic effects across the entire Amazon River basin and threaten the food security of millions of people. The study titled "The potential impact of new Andean dams on the Amazon fluvial ecosystem," was recently published in PLOS ONE. The study's models found that the most dramatic effect expected was an estimated reduction of 894 million tons per year in sediments flowing downstream of the six dams (Perú: Pongo de Manseriche, Inambari, TAM 40, Pongo de Aguirre; Bolivia: Angosto del Bala and Rositas). This reduction represents 69 percent of all sediments flowing out the Andes and 64 percent of the entire Amazon sediment supply and is expected to extend to the Amazon river main channel, impacting the entire central floodplain and delta region. 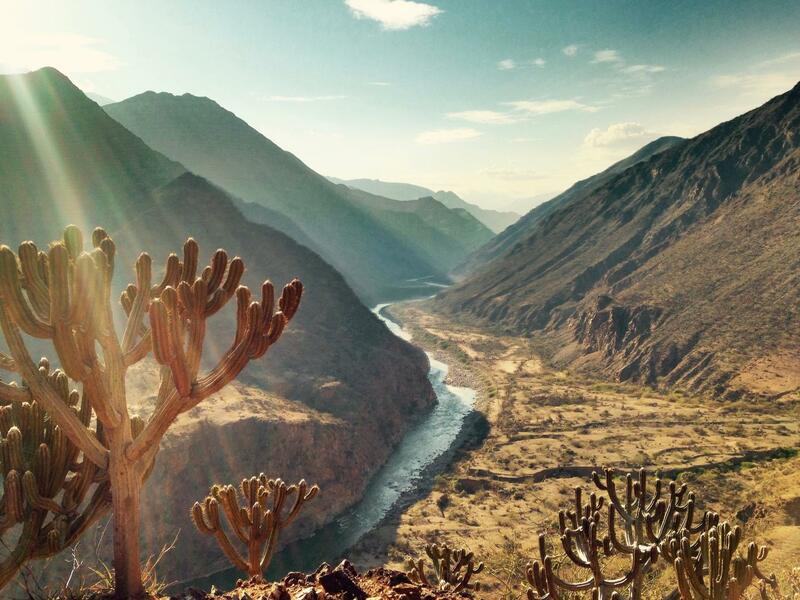 The Andes Mountains occupy only 11 percent of the Amazon basin, but supply 93 percent of the sediments and most of the nutrients carried by the Amazon river system. Sediment dynamics play an important role in shaping the Amazon's fluvial landscape, moving and depositing sand, rocks, soil, and nutrients from the Andes to the rest of the Amazon basin. "The expected reduction of sediment and nutrients beyond the dam sites would be catastrophic for the region's wildlife as well as countless communities that rely on the river for their agricultural needs," said Bruce Forsberg, scientist for Instituto Nacional de Pesquisas da Amazonia and lead author of the study. Since the Andes is the principal source of sediments to the Amazon river system, the consequences of this massive reduction will be dramatic: river channels will become deeper, reducing seasonal floods which are necessary to bring fluvial sediments and nutrients to floodplain environments and provide connectivity between environments for both migrant fish and people. Reducing Andean sediment inputs by 69 percent will also cause phosphorus and nitrogen supplies to the Amazon River system to drop by 51 percent and 23 percent, respectively, according to the study. Phosphorus and nitrogen are critical for sustaining agricultural and aquatic production along the central Amazon floodplain and Delta regions, both of which are important for regional food security. The decline in phosphorus is expected to reduce the abundance of phytoplankton (microscopic plants) and fish that feed on them, species that make up 40 percent of commercial fish yield. The reduction of nitrogen is predicted to result in a decline in soil fertility and agricultural productivity downstream of the projects, leading to a greater reliance on chemical fertilizers. Based on analyses of hydrological variations below the 29-year Balbina dam and the 26 year old Tucurui dam in the Brazilian Amazon and their knowledge of channel morphology below the proposed Andean dams, the scientists also predicted that much of the floodplain below these impoundments could become permanently dry. Models linking flooded area to fish yield below the dams showed that this reduction in flooded area would result in a major reduction in fish yield, threatening regional food security. The authors added that governmental and non-governmental agencies will need to collaborate across disciplines, and countries, to ensure that the potential benefits of development do not occur at the expense of regional food security and the integrity of the Amazon ecosystem. The Peruvian government has temporarily decided not to promote the development of large hydroelectric plants in the Peruvian Amazon. This decision is not only based on a current surplus in the country's energy supply, but also on concerns over lack of efficiency in large reservoirs and the environmental impacts of these projects, themes which are central to the study. Solid research across multiple disciplines is essential to inform government policy on large development projects and help achieve a balance between costs and benefits required for sustainable and inclusive development. "The influence of the Amazon River basin–the largest and most diverse freshwater ecosystem in the world–is felt by literally billions of people worldwide," said Dr. Julie Kunen, WCS Vice President for the Americas. "Any planned infrastructure development in the region's sensitive Andean headwaters must consider the cumulative impacts on the entire ecosystem, especially to fish populations that are vital for the region's food security." Michael Goulding, WCS senior aquatic scientist for the Amazon, stated: "The study represents an ecosystem wakeup call for both developers and ecologists to work together across national borders to find solutions that mitigate infrastructure and its potential large-scale impacts at scales unimaginable several decades ago. Everyone is downstream." The authors of the paper are: Bruce Forsberg of Instituto Nacional de Pesquisas da Amazonia, John Melack and Thomas Dunne of the University of California, Santa Barbara; Ronaldo Barthem of Museu Paraense Emilio Goeldi of Brazil; Michael Goulding of WCS; Rodrigo Paiva and Mino Sorribas of Federal University of Rio Grande do Sul of Brazil; Urbano Silva Jr. of the National Center for the Research and Conservation of Amazon Biodiversity (ICMBio) of Brazil; and Sabine Weisser of Universitat Konstanz. This research was conducted by the Amazon Waters Initiative expert working group supported by Science for Nature and People Partnership (SNAPP), a partnership of The Nature Conservancy, the Wildlife Conservation Society, and the National Center for Ecological Analysis and Synthesis (NCEAS) at the University of California, Santa Barbara. The Amazon Waters Initiative is generously supported by the Gordon and Betty Moore Foundation, Mitsubishi Corporation Foundation for the Americas, USAID, and the John D. and Catherine T. MacArthur Foundation.